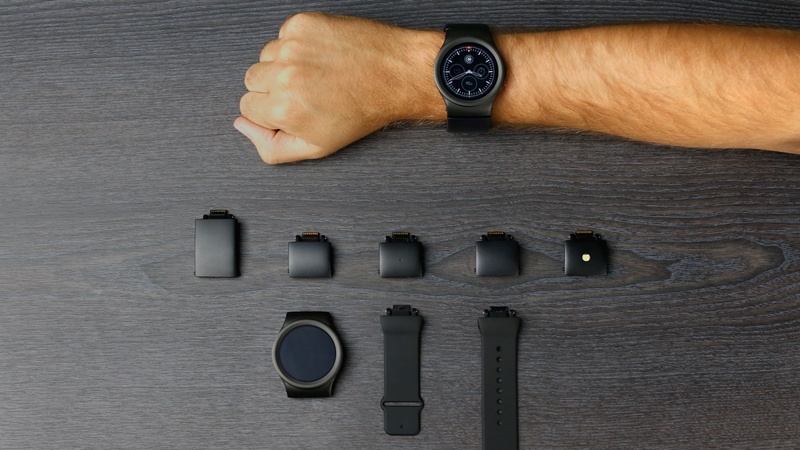 Big news for Blocks backers - the modular smartwatch startup has shared images and a four minute video of a working, final design model and announced that the Blocks watch is almost ready for mass production. The initial shipping date, for the 5,000+ people who pledged $1.6 million during Blocks' Kickstarter campaign, was May 2016, so the team is a little late. Blocks co-founder Serge Didenko told Wareable it is now aiming to ship in September which is not too bad by crowdfunding standards. Still, five extra months is a long time to be patient. The modular watch is undergoing final testing in Taipei, Taiwan before mass production with Compal Electronics. The final model has a new processor, new stainless steel casing and smaller individual modules, according to the release Blocks just put out. Better yet, you can see it for yourself - the preview video below shows a working smartwatch with the final plug and play connector, which does look very quick indeed. The vid also shows off the interface - it runs on a fully operational modified version of Android and looks really neat. The watch face hosts three complication-style widgets which also act as a menu - swipe left and they switch to the next three. Press one and that quickly launches that app, examples shown include alarm clock, flashlight (on a Blocks module) and timer. It allows for really quick access to all apps, a cross between the Gear S2 and Vector Luna, but you can also always see the time. Clever. Apart from the swipes, you can rotate your finger around the screen to see what you're doing too which is nice. The 1.4-inch round AMOLED display is recessed, as per previous models, and doesn't look particularly bright or vivid but we'll reserve judgement on this until we've seen one up close. As for the design, the team has managed to refine the width of the Blocks modules down considerably so it does almost match a normal strap wrist-print. That said, we still don't know how comfortable the modular device will be. The first modules available with be NFC, GPS, heart rate monitor and extra battery and depending on your wrist size, you can wear four or five at once. Blocks also announced that the smartwatch is now up for pre-order for $330. Now, that might seem steep, it's $80 more than the Super Early Bird price on Kickstarter, but it's also comparable with regular smartwatches and Blocks' whole sell is that this is future-proof. We've still not had hands on time with the final Blocks smartwatch but look out for pictures and first impressions very soon. From the video, it looks like Blocks has managed to pull this one off and if it works, 5,000 people will be pretty happy this summer.